This battery powered classic car is not just gorgeous to look at but also contributes to the environment by being a no-emission vehicle. Our customization solutions include roof options, color selections and a host of added accessories. Build you own electric classic car! As easy as Plugging in! Enjoy the class and comfort of a car without expensive fuel costs. Just plug out and take it for a memorable ride! When we say Royale, we truly do mean royalty redefined in a classic car. Unlike outdated models, our battery operated classic cars and built with a modern twist – ensuring head turning value no matter where they go. The Royale comes with 4 seat and 6 seat variants. Known for its comfort, style and unbeatable performance, our electric classic car is a dream to drive. Unlike other classic cars, these electric variants are affordable to own and very economical to power and upkeep. All you have to do is plug them overnight and they’re good to go through the next day. With exclusive designer exterior and a luxurious comfortable interior, our luxury golf cart models are made to impress. Completely customizable to your precise needs, we aim to design the perfect electric golf cart for you. Built to impress in its classic car form, the Royale is truly an experience in royalty. Order your custom battery operated classic car today! 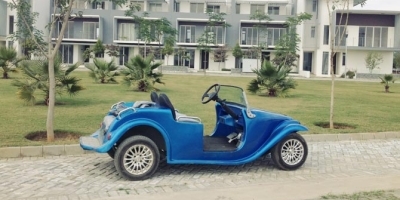 Build your own Royale classic car with the infusion of your personal tastes and style. We make custom electric vehicles for a large range of applications and would love to build one for you. 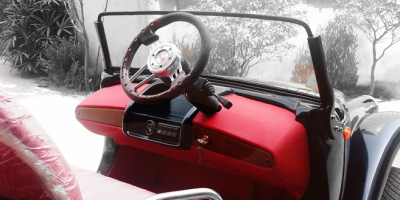 Contact us today to know more about how we can make a luxury hand-crafted classic car for you.